Provide comfort for the family of Mary Tipsword with a meaningful gesture of sympathy. Mary Darlene Tipsword was born on March 28, 1946 in Decatur, Illinois to Charles Wainscott and Thelma Early. Darlene passed away on Wednesday, March 20, 2019. Darlene met the love of her life, Hamer Tipsword and the two of them got married and had three beautiful children. Mary resided in San Angelo for thirty years with her family. The joy of her life was her family. Being together with her children and grandchildren was her highlight. She loved the trips and gatherings with the grandchildren. Darlene was her husband’s biggest supporter. She loved her family unconditionally. Darlene loved the Lord, prayed daily, and faithfully listened to each Sunday’s sermon podcast. She was a member of San Angelo’s First Assembly. Darlene was loved more than she knows. Darlene is preceded in death by her parents, Charles Wainscott and Thelma Early; and brother, Doug Wainscott. A memorial service will be held at 2:00 pm, Saturday, March 23, 2019 at Shaffer Funeral Home’s Sherwood Way Chapel. Services are under the direction of Shaffer Funeral Home. 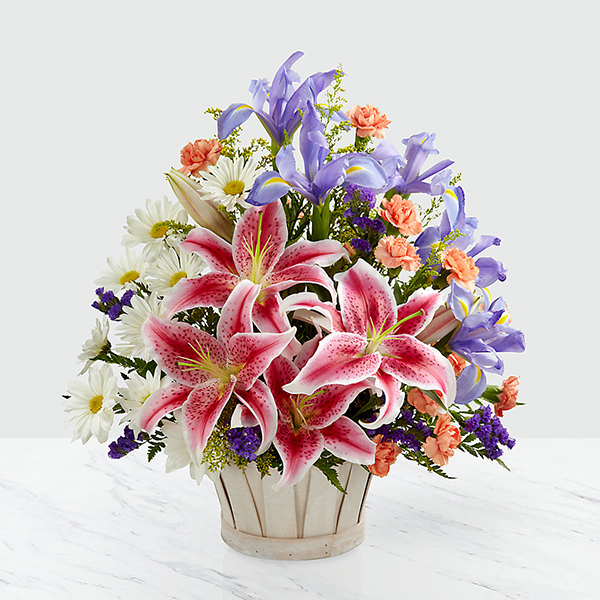 To send flowers in memory of Mary Darlene Tipsword (Wainscott), please visit our Heartfelt Sympathies Store. The Chase Family. Tim, Jan, Taylor and Matt and The Phillips Family have sent flowers to the family of Mary Darlene Tipsword (Wainscott). Keeping you in our prayers during this difficult time. Keep the good memories alive in your heart and may God grant you peace. The Chase Family. Tim, Jan, Taylor and Matt purchased flowers for the family of Mary Tipsword. Heartfelt Sympathies Store purchased flowers for the family of Mary Tipsword. The Phillips Family purchased flowers for the family of Mary Tipsword. Our deepest condolences for the loss of a cherished family member.